This is an area of 37 sq. km. (or 14 sq. mi and 9000 plus acres) in the center of the Bayanzurikh Uul range. It lies just east of Ulaanbaatar and just north (or NE) of the main road out of Ulaanbaatar. 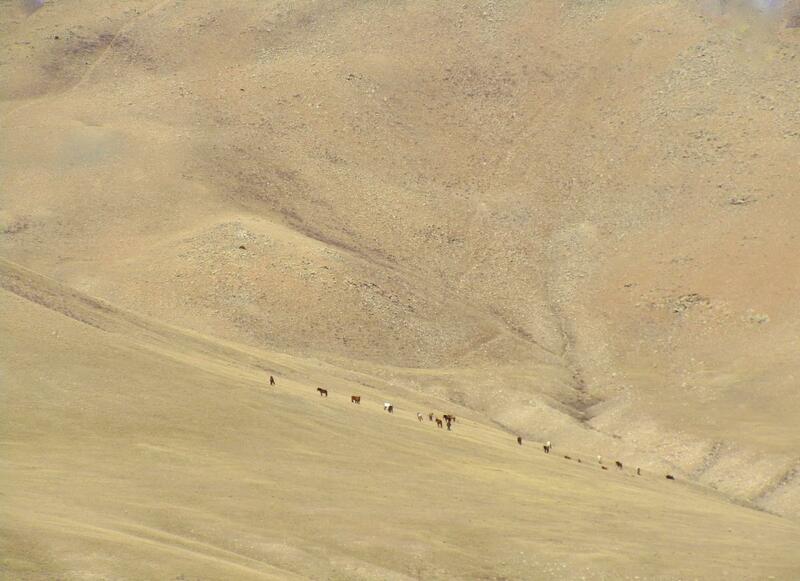 The entire range runs a little less than 20 km from UB to Nalaikh. The southerly slopes of the range are barren short grass and rocky ecotype. The northerly slopes are much more of a mix of barren short grass areas, rocky areas, stands of Siberian larch and a little Siberian birch. In terms of trails there is a ton of two track running through this area. All of it is very well connected and is quite fun to ride. The climbs and descents are mostly 1.5 mi to 2.75 miles long (2.5 to 4.5 km long). If you just look around, you will often see a lot of singletrack which cows have made, running along the two track. Get off the two track and play on the singletrack. It is in good shape and often takes very fun lines. On the short grass slopes you can also just pop off the trails and go no trail. Go as big and steep as you like. It's all there. Review: Some good riding here, and it is especially good early in the year when the more heavily forested areas still have snow or are quite wet. There are prettier areas in Mongolia and around Ulaanbaatar, but don't miss exploring this area a little, especially early in the year. The riding is good. Bayanzurkh Uul Central MTB Trail 4.00 out of 5 based on 1 ratings. 1 user reviews.